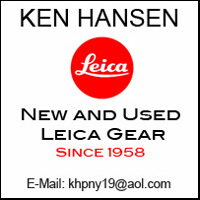 Changes at Leica are on the horizon. The WETZLARER NEUE ZEITING reports that Oliver Kalter, CEO of Leica, has decided to leave the company effective August 31, 2017, “based on other plans that he would like to pursue.” It had become obvious that the supervisory board was dissatisfied with Kaltner’s leadership. . He had run the relatively small camera manufacturer like a large corporation. There is no official word from Leica as of yet. They plan to comment on the succession at a later date. According to information provided by the German Press Agency, the present Supervisory Board Chairman Andreas Kaufmann is to take over the presidency of the Board of Managing Directors. This success continued after being interrupted by WWII, with the first post war model, the Leica IIIf and then the incredible M3 which lives on in its basic concept even today with the Leica M. Of course there were cameras from competing companies as well, the continuation of the Zeiss Contax as the main competitor. Kodak too tried to get a hold on the 35mm rangefinder market with their incredible Ektra, but Leica remained on top. 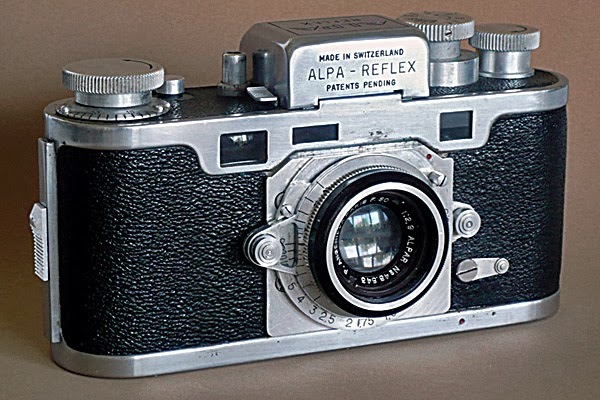 This success continued even far into the new 35mm single lens reflex camera market which rapidly gained popularity. 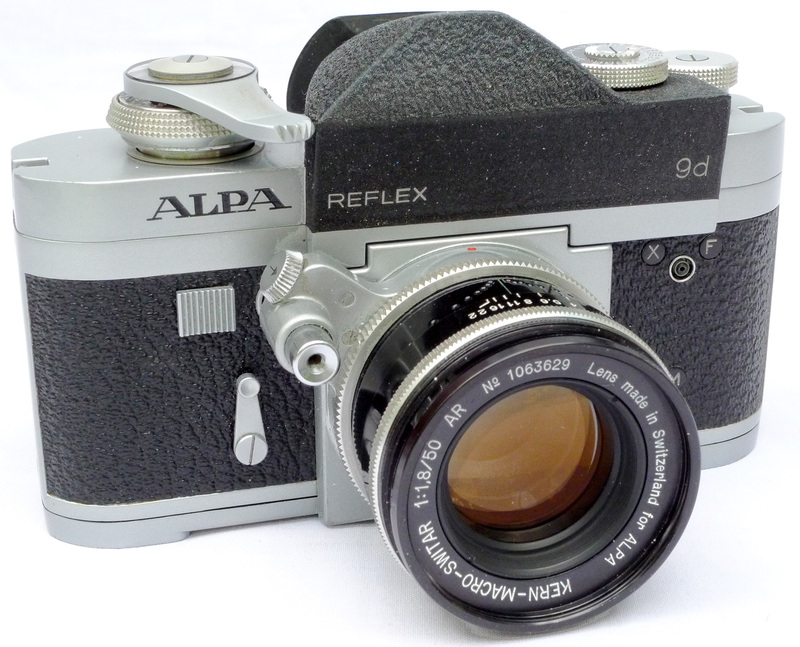 This brings us to an interesting concept from Switzerland, the Alpa Reflex. What set the camera apart from virtually all cameras at the time is the fact that the camera was a hybrid, offering rangefinder focusing as well as single lens reflex viewing. A closer look, especially at the lens, definitely reveals the influence of the Leica. Because of the very high quality of the camera, production was low, but quality and prices were high. 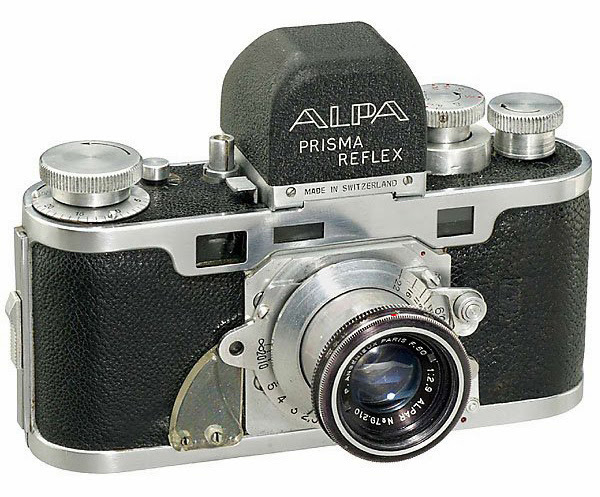 Even these days, collectible Alpa cameras can fetch quite high auction prices. Alpa was quite innovative with other features too. There is an ongoing question concerning which camera company was first with such innovations as the quick-return mirror, through-the-lens metering cells in prism housings and the bayonet lens mount. Alpa was a contender for being first with each of these innovations and several others. In 1990 the company could no longer compete with other manufacturers, especially from outside Europe. The fatal blow however was delivered by problems within the company. Pignons SA declared bankruptcy. 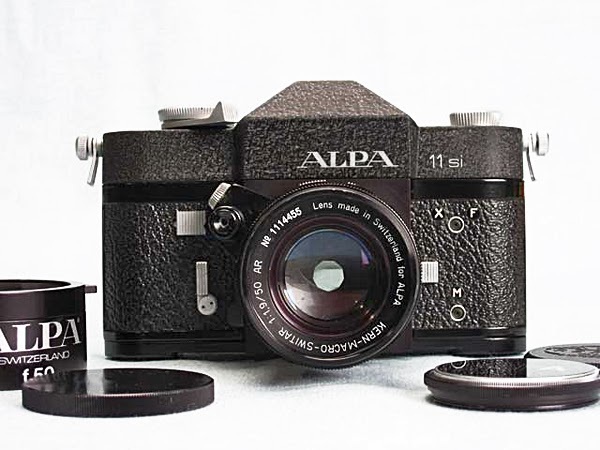 The last ALPA model produced by Pignons SA was the ALPA 11. In 1996 Capaul & Weber from Zurich acquired the world-wide rights to the brand-name ALPA. 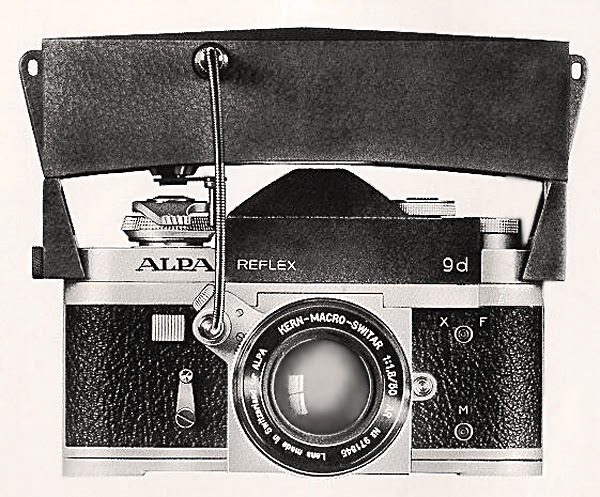 The new owners aimed to continue the tradition of quality established with the classic 35-mm ALPA reflex cameras and to enter into the field of medium-format cameras which resulted in the Alpa 12 camera currently on the market. Just recently Alpa joined forces with Phase One. They now offer the Alpa 12 with the new, 100megapixle Phase One digital back.